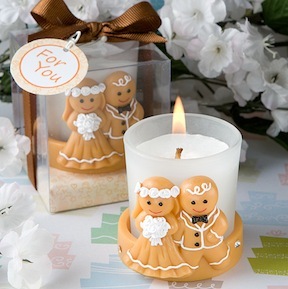 You’d be a smart cookie to choose these Gingerbread Bride and Groom Candle Wedding Favors as your Winter Wedding Favors! Here’s an adorable favor with lots sweet appeal! And it’s bound to be a crowd pleaser. Details here.